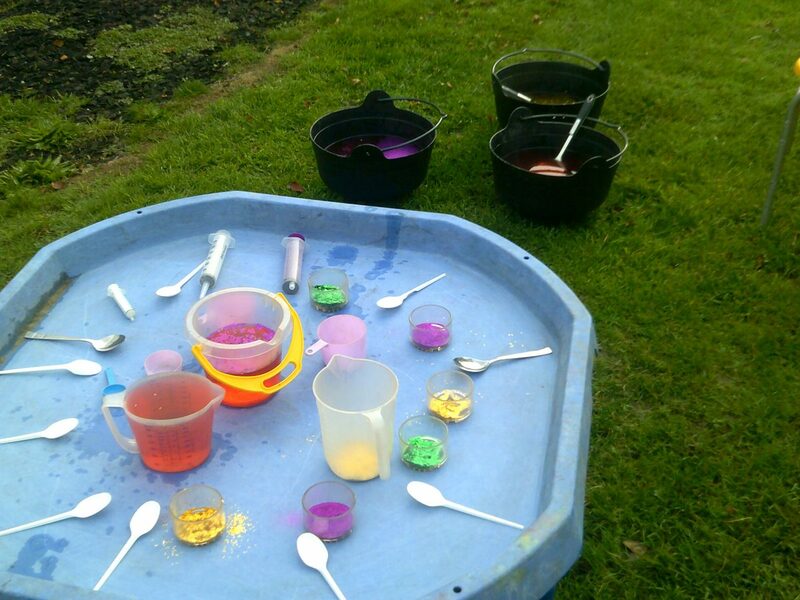 We had loads of fun creating our “potion station” using various containers, food and glitter! 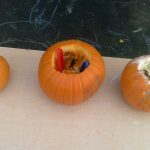 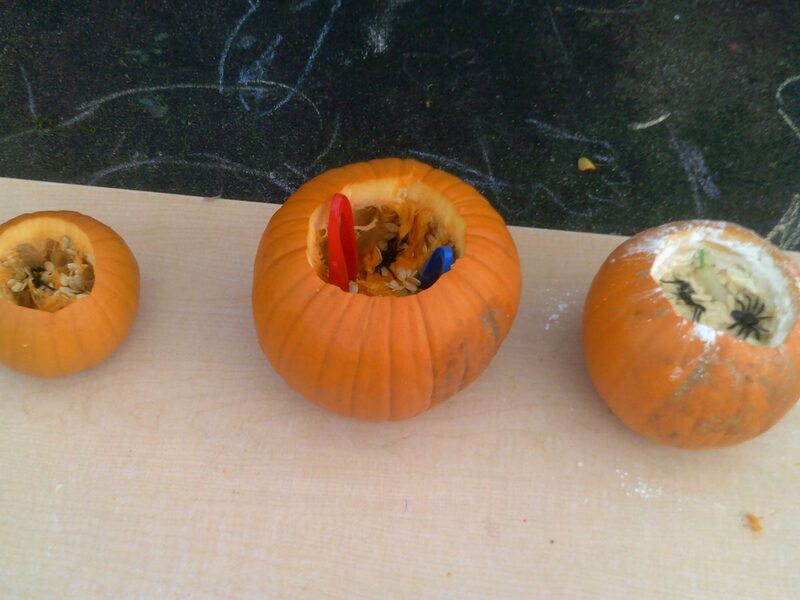 We filled our pumpkins with spiders and the children spent a fun time removing them and the pumpkin seeds with tweezers. 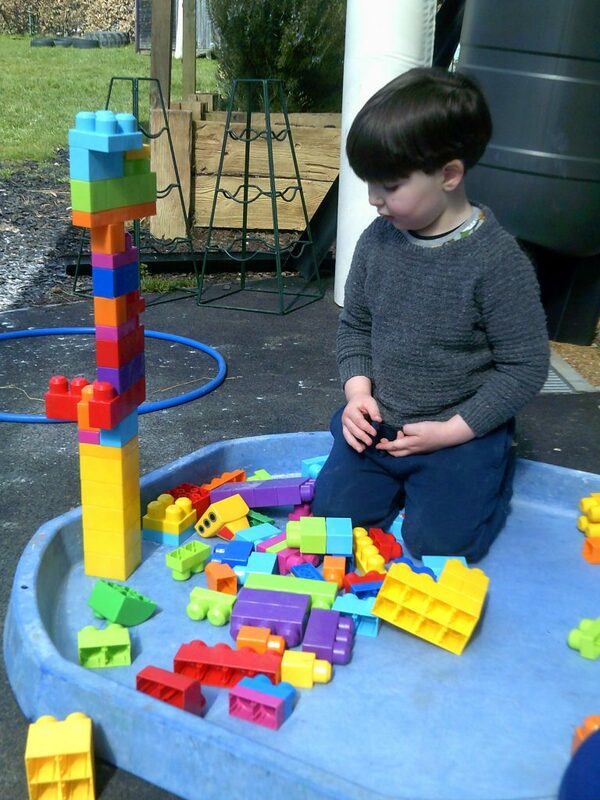 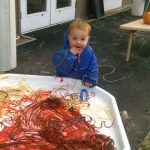 Great for fine motor skills and for practicing all the dexterity you need for writing! 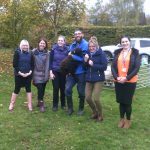 We would like to say a massive thank you to Chris from Millers Ark. 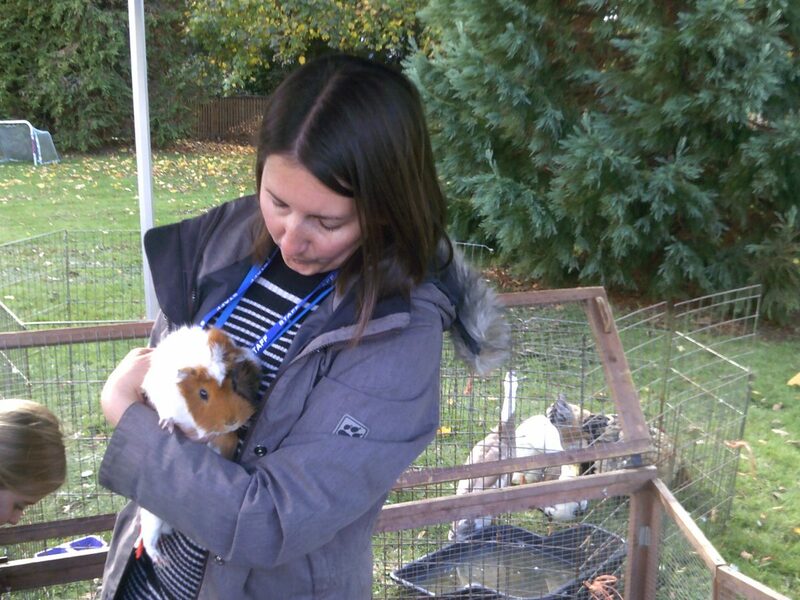 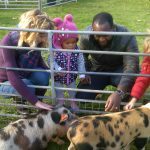 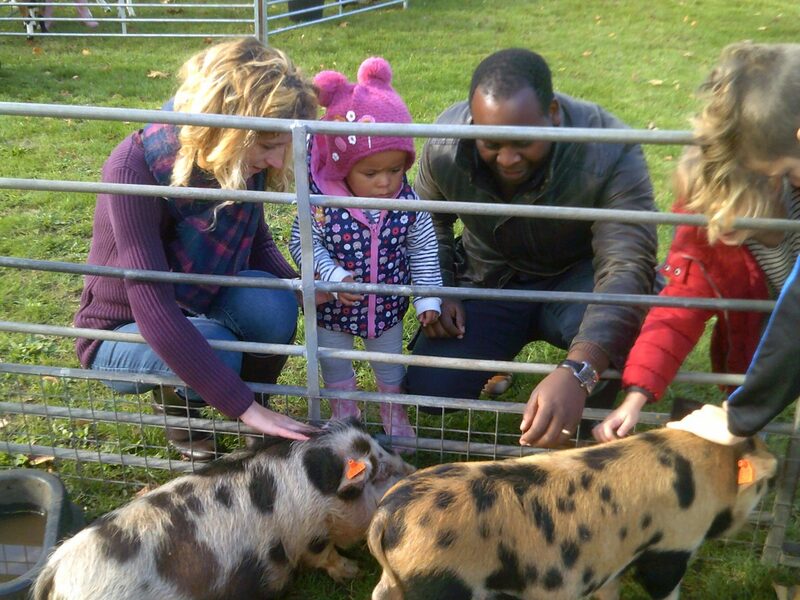 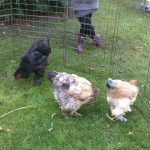 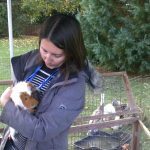 The children (and the team) loved meeting the animals! 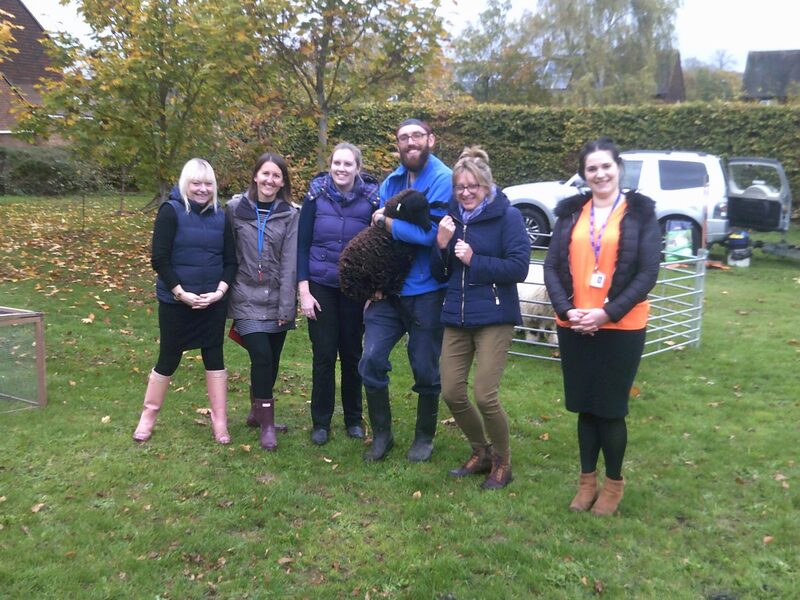 There is a picture of Chris with the team and Barbara the black sheep. 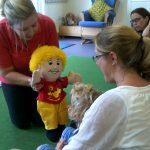 Jo Jingles is a music and movement glass for children and families. 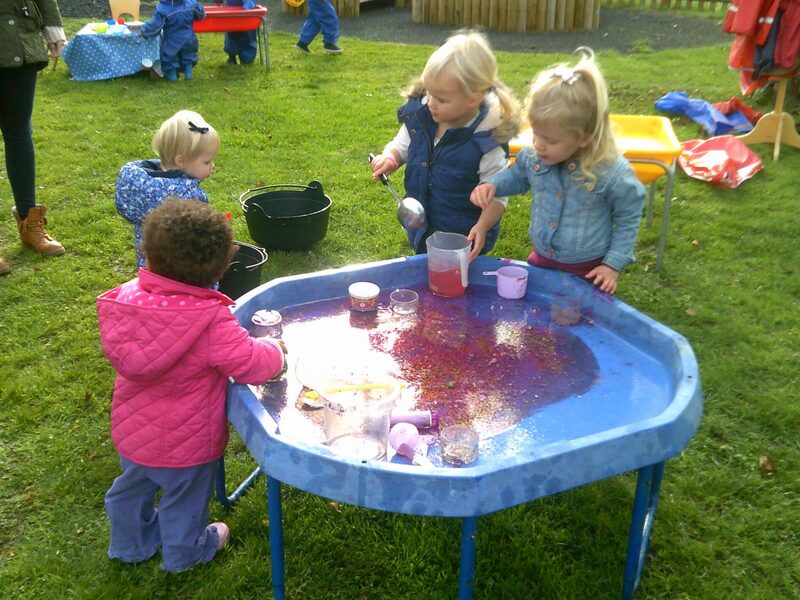 Children enjoyed exploring textures and sent in the mixing station. 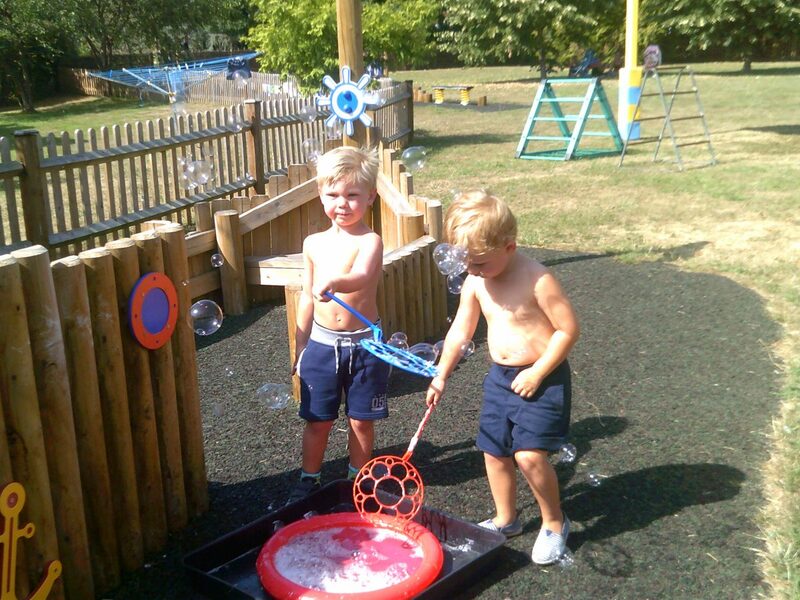 We also enjoying playing with the giant outdoor bubble kits. 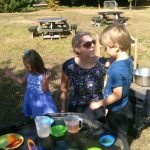 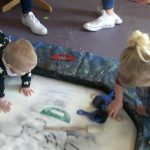 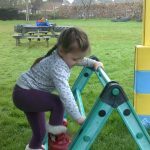 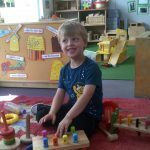 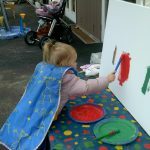 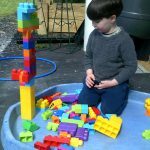 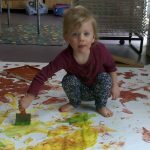 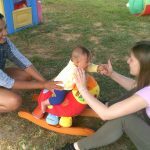 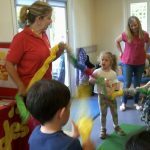 Sensory play session – 31 July 2018. 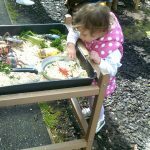 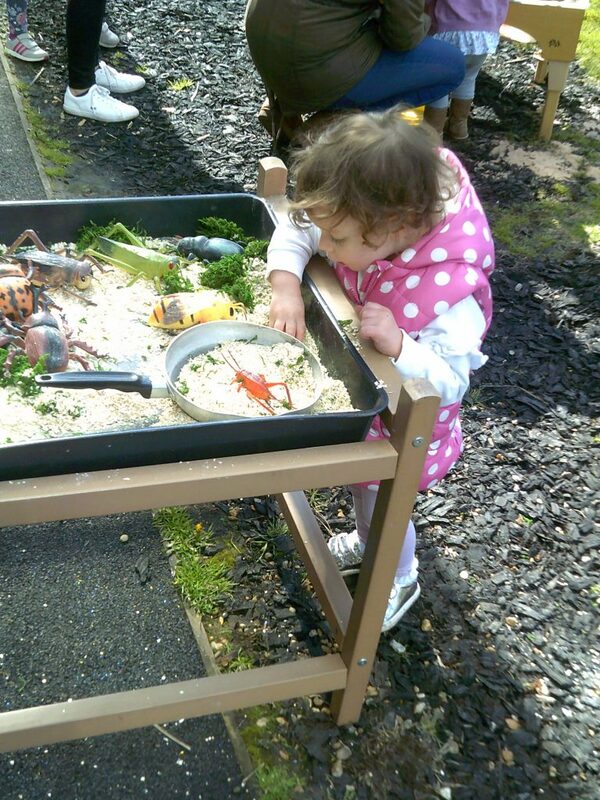 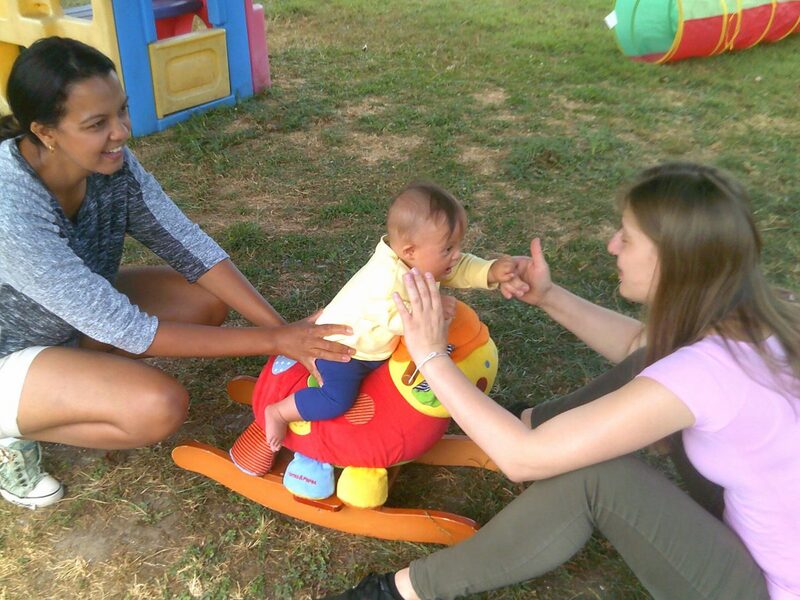 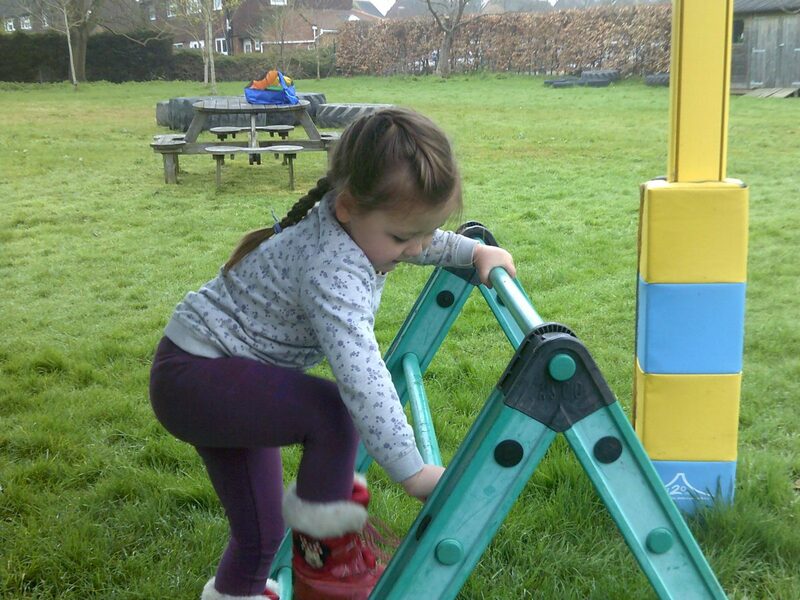 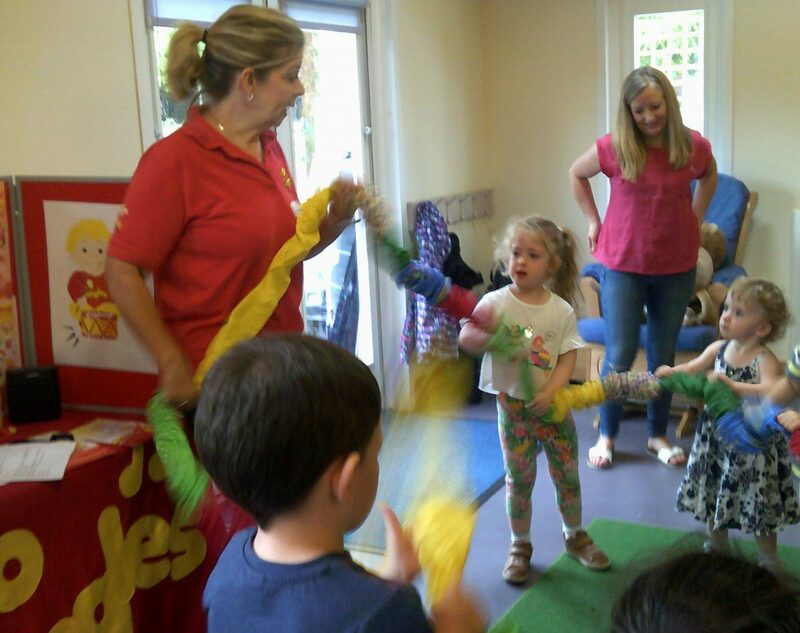 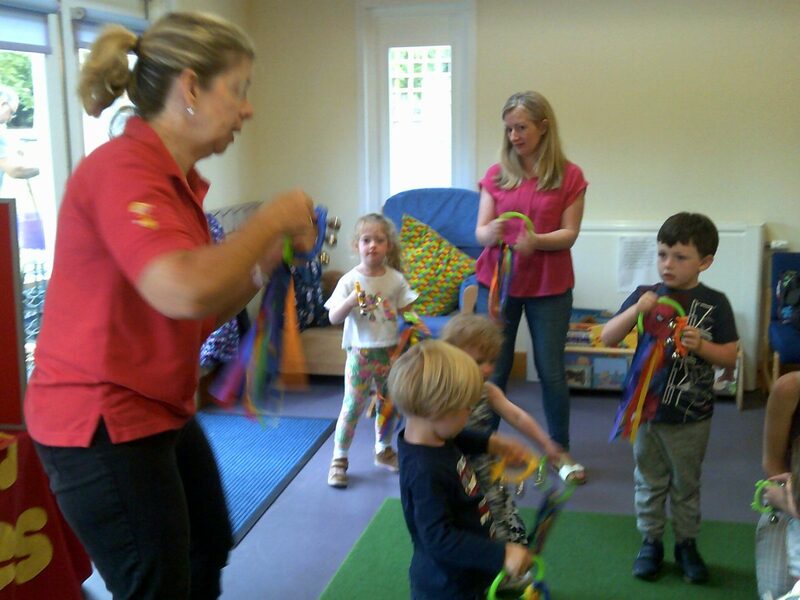 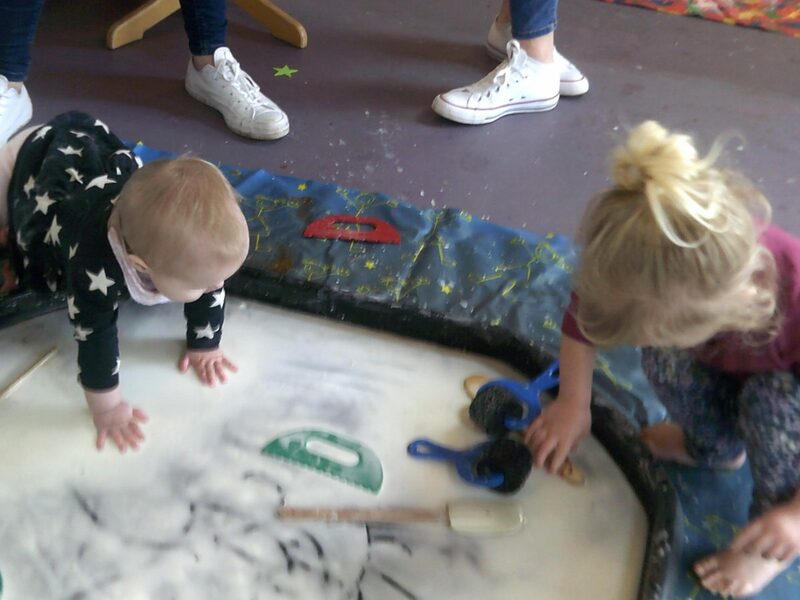 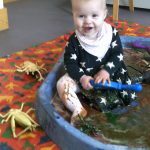 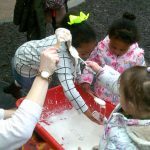 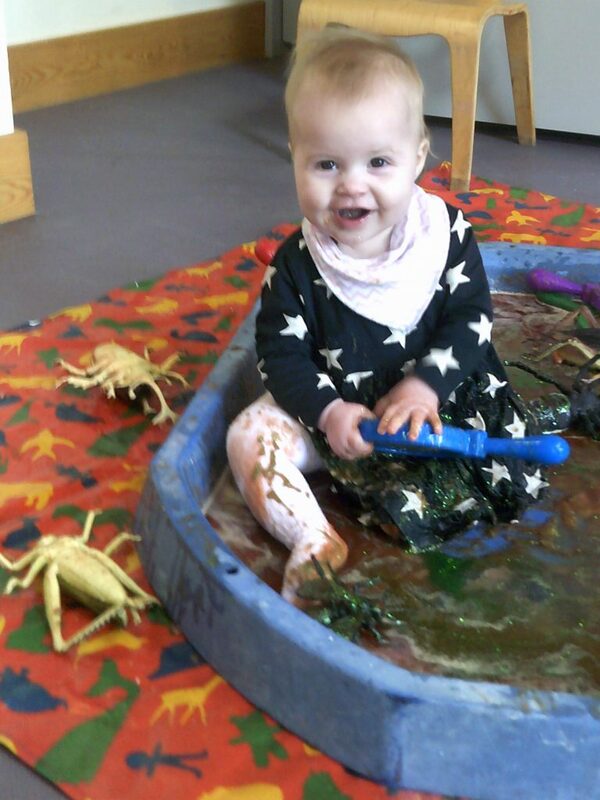 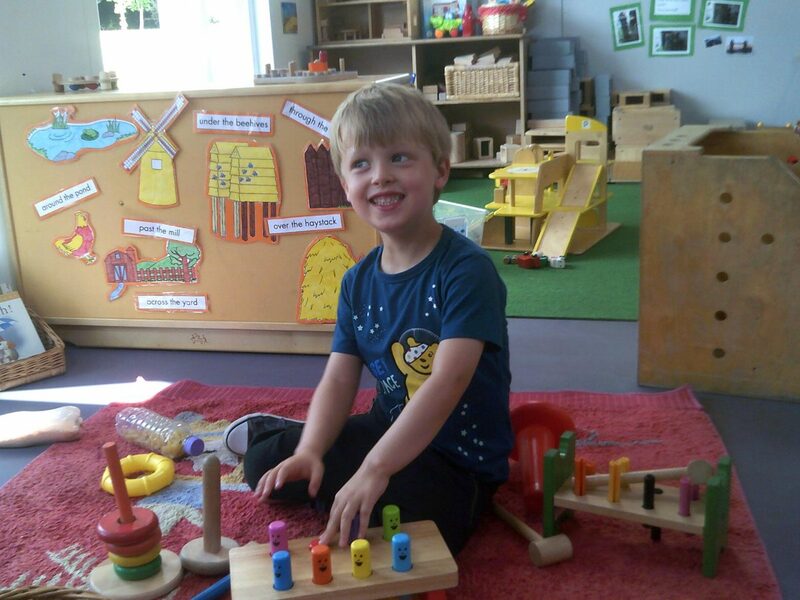 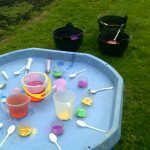 Sensory Play is attended by ‘Portage’ and ‘Early Support’ and the group is designed to provide sensory opportunities for children with additional needs. 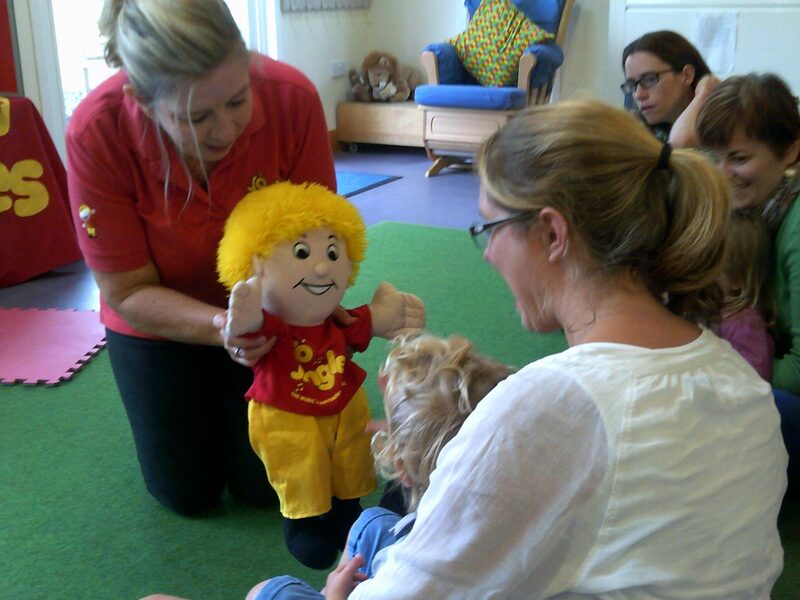 What a brilliant day with our colleagues from SAHA. 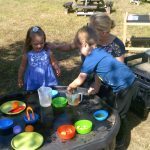 It was great to see so many families and more than 130 children enjoying the fun including a bouncy castle, tombola, and face painting. 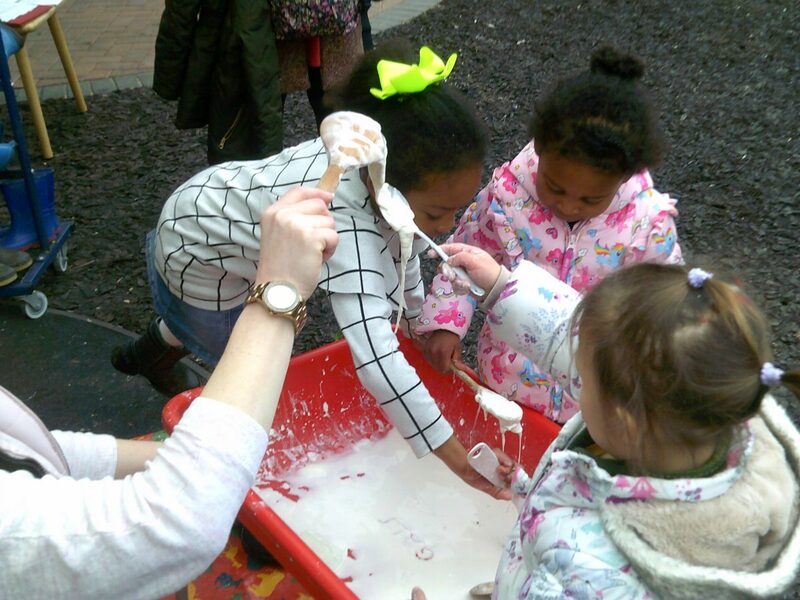 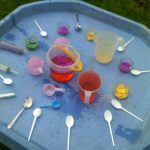 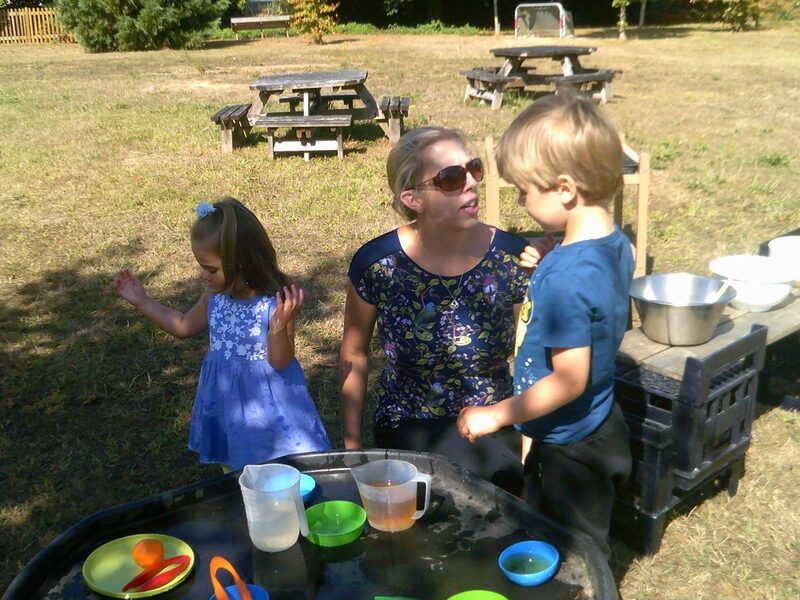 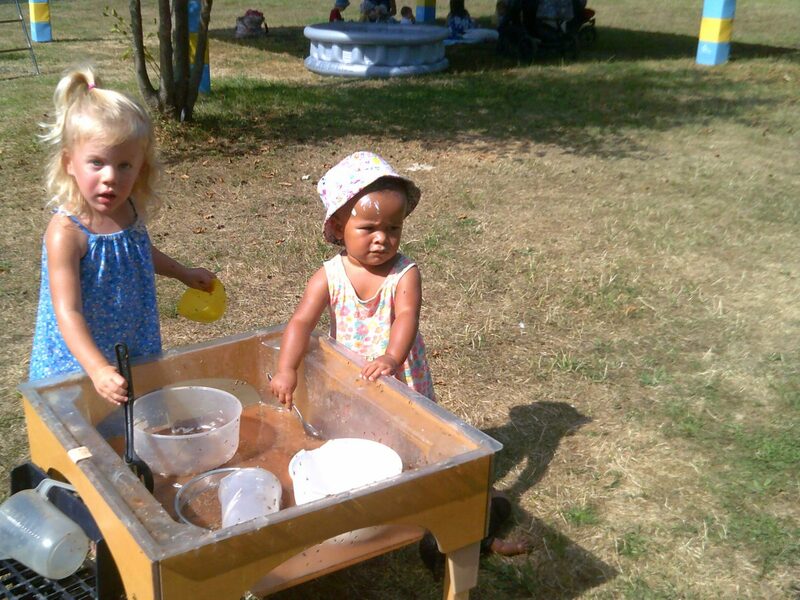 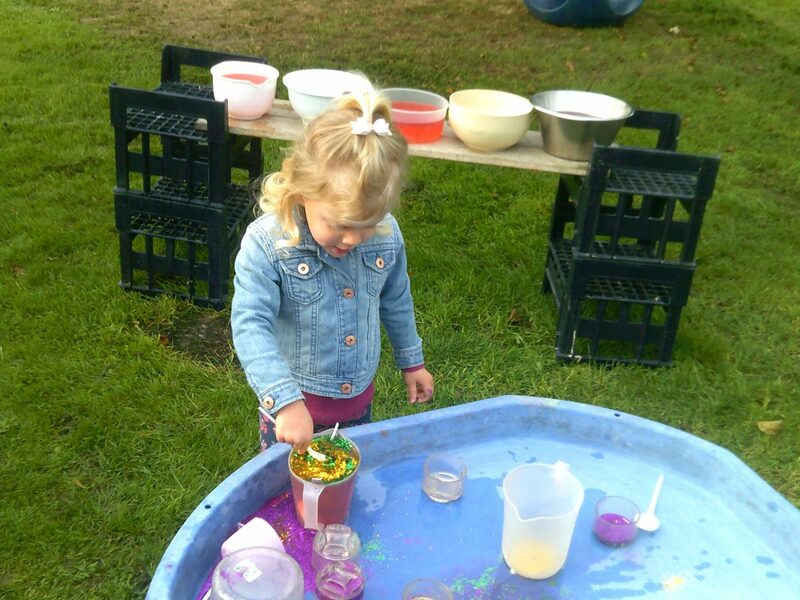 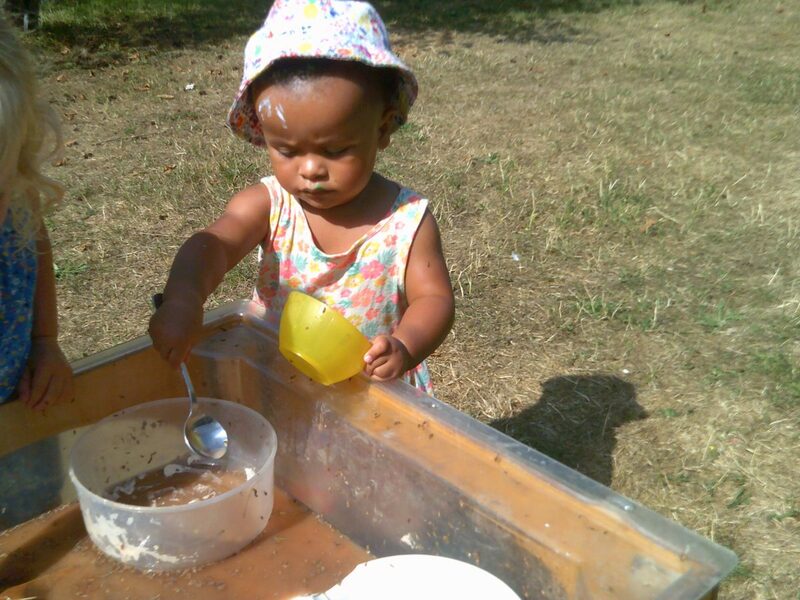 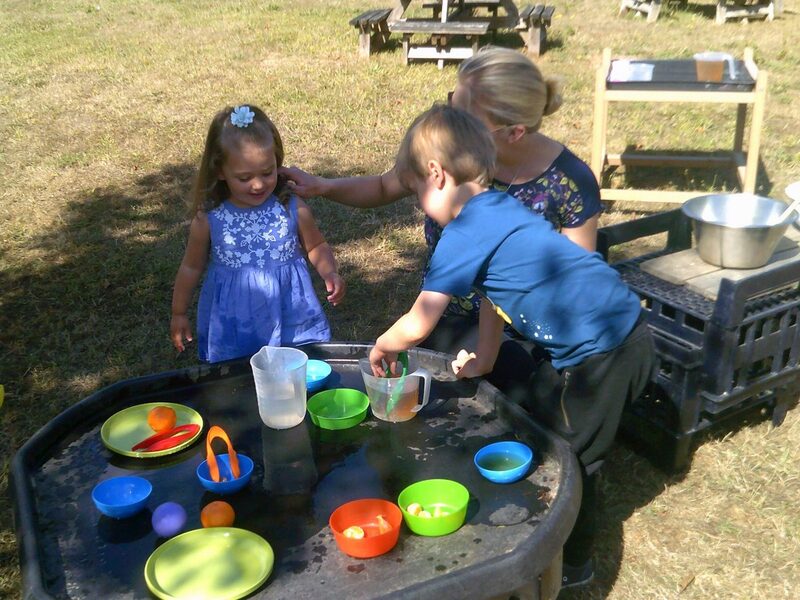 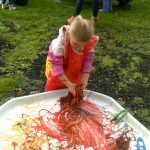 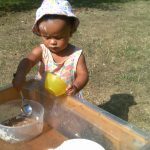 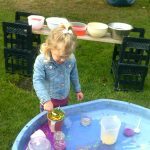 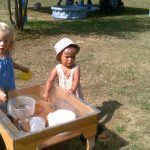 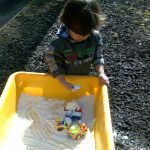 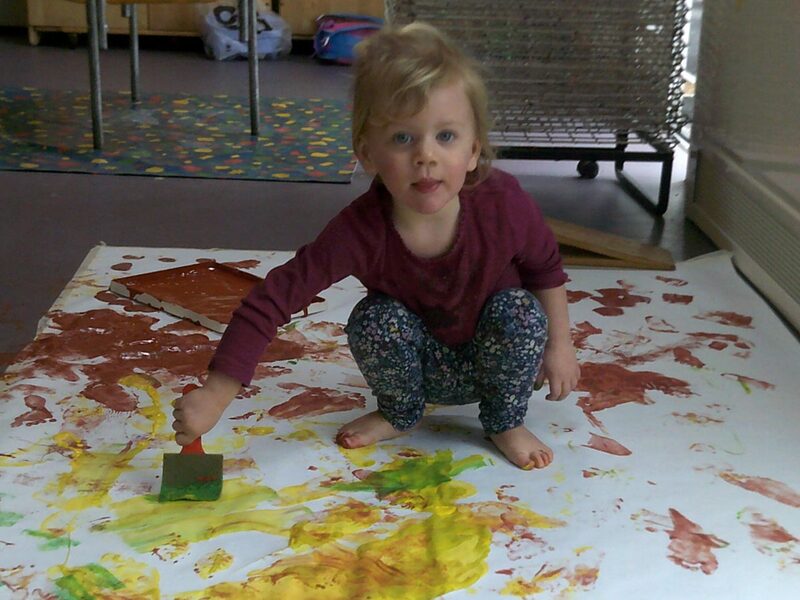 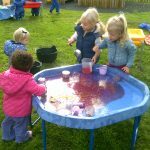 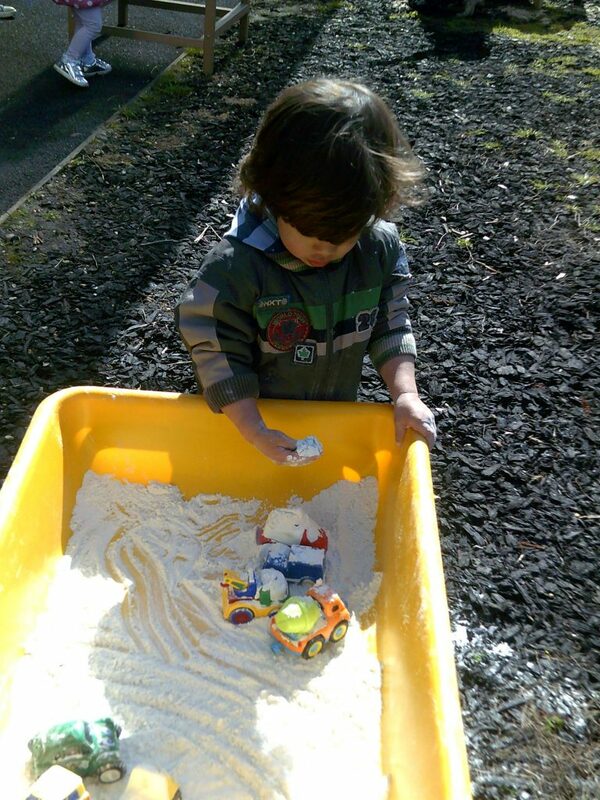 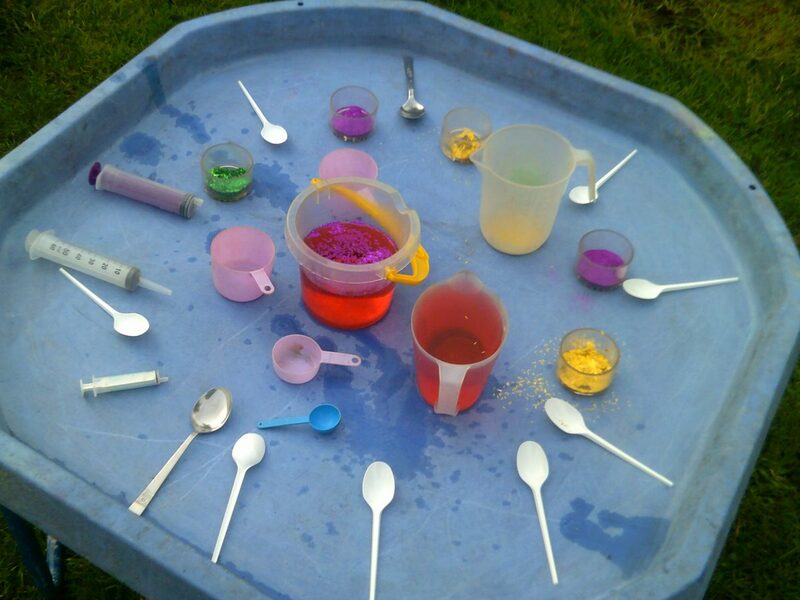 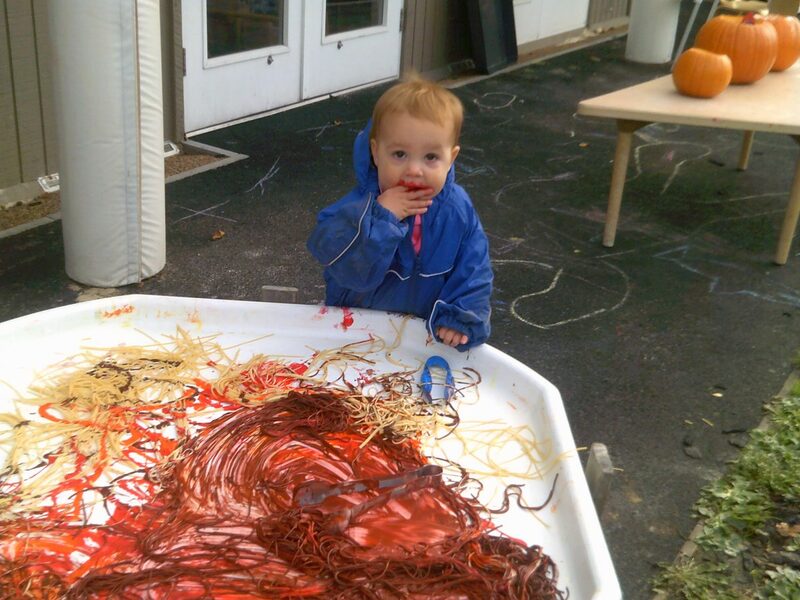 Children also enjoyed mark-making in corn flour, pouring and measuring water and running around in our huge garden area. 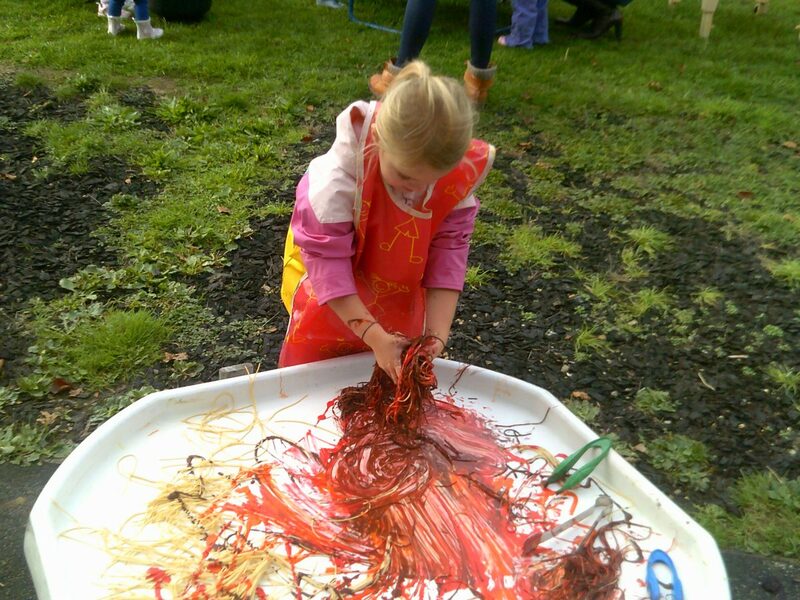 BIG THANKS to the local Fire Service and Police who came along and chatted to families and for allowing the children to sit in a fire engine and a police car – sounding the sirens was very popular! 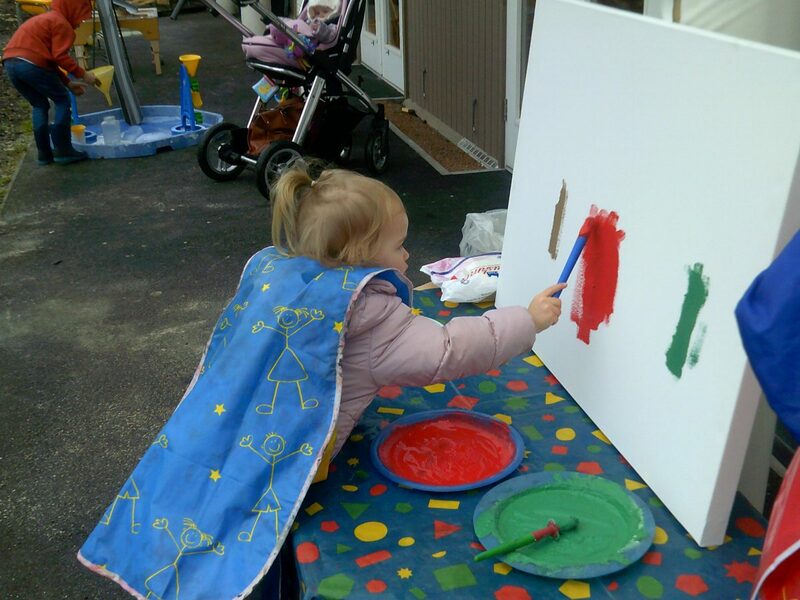 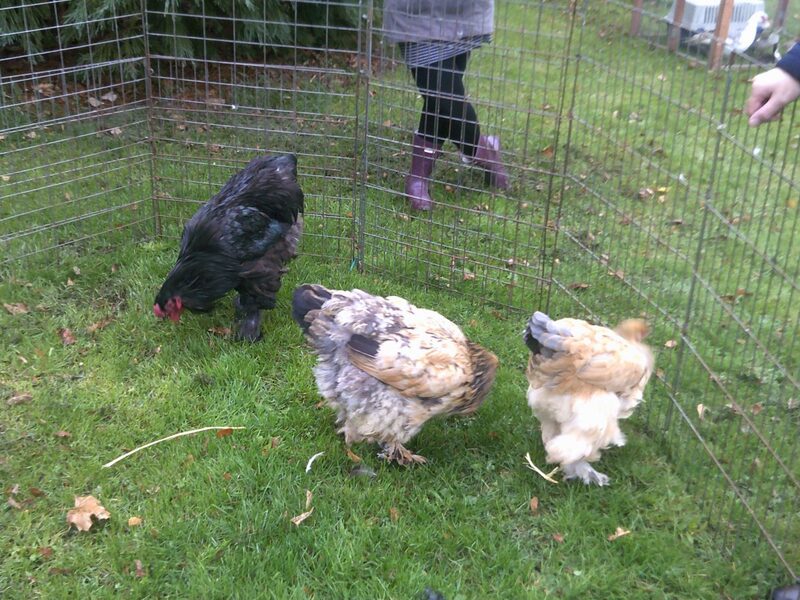 A great success all round and the rain held off too!